City offices will be closed Friday, April 19, 2019. We will reopen Monday, April 22nd during our normal business hours (9am-5pm). In the event of an emergency, please dial 911. ADJOURNMENT The meeting was adjourned at 9:19 p.m. The regularly scheduled May 6 City Council meeting has been cancelled. Instead, a Council Retreat will be held from 4:00 – 8:00 p.m. at the Ferndale Police Station. This is a public meeting as defined by the Open Public Meetings Act. Council Committee meetings on May 1, 2019 have also been cancelled. 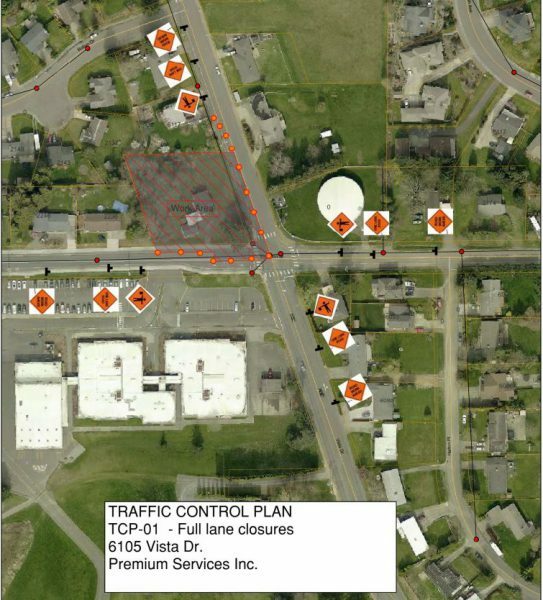 Drivers should expect delays as traffic is reduced to single lane traffic on Thornton Street, between Maureen Drive and Vista Drive, from Monday, April 15, 2019 to Friday, May 3, 2019, from 7:00am to 7:00pm. Flaggers will be on-site directing traffic. This work is to complete improvements associated with a private development project. Road will remain open during nonworking hours. If you have questions regarding this notice, please contact Ferndale Public Works Department at (360) 384-4006.